Apply for new installation or relocation of street light. A customer may apply for street lighting from the local authorities. The monthly charge for street lighting may be borne by these authorities if their consent is secured. For customers who wish to apply for street lighting under their own name, a connection charge will be imposed. A monthly charge of RM10.00 will also be included in the customer’s account. Customer may go to the nearest Pusat Khidmat Pelanggan for more information on the connection charges. Customers may apply in writing to TNB and attach the Electricity Pole Location Plan (existing and relocation). The customer is liable to pay for the relocation charges. Customers may refer to the nearest Pusat Khidmat Pelanggan for more information. Tariff rates are separated into Street Lighting and Neon & Floodlight Consumer categories. “Street Lighting Consumer” means a consumer lighting up public roads, highways and bridges excluding tolled roads and highways. “Neon & Floodlight Consumer” means a consumer lighting up neon and floodlight installations for roadside advertisements, billboards, buildings, traffic lights, signages, bus-stops and telephone kiosks or for decorating the facade of buildings. For this purpose, the consumer must install facilities for separate metering system and pay full installation costs incurred by TNB to provide the supply. Learn more on how to differentiate between the two, so that you know the right people to turn to when a problem arises. 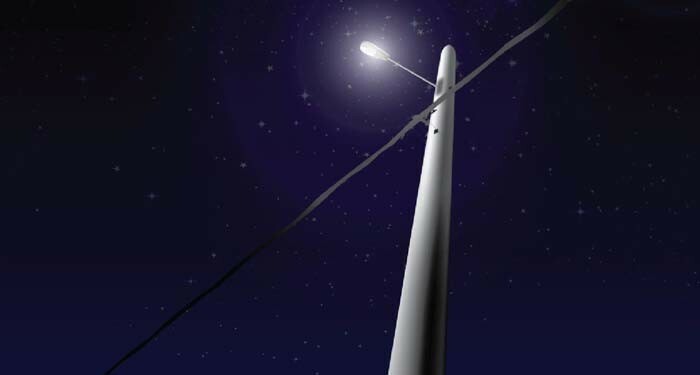 Street lights owned by TNB are commonly installed on TNB concrete poles with overhead lines attached to them. They can be easily identified – each pole has the TNB logo, corporate colors (blue and red) and its pole reference number. Some streetlights are owned by the street or highway developer such as Plus, Grand Saga, NKVE etc. Some others are owned by local authorities/ municipal council such as Subang Jaya Municipal Council (MPSJ), Petaling Jaya Municipal Council (MPPJ) etc. These streetlights are usually galvanized, such as decorative lights or single-arm/double-arm streetlights. When there is a problem with any of TNB's streetlights, please do not hesitate to let us know. Quality of light components e.g. burnt light bulb, damaged time-switch equipment etc. Third parties e.g. damaged underground cable, damaged poles due to road accidents etc.